Caravan the quintessential precursors to the British Prog Rock movement have announced a very special UK Tour that kicks off on January 8th 2013 at London’s prestigious Queen Elizabeth Hall at the Southbank Centre. This entry was posted in News on December 17, 2012 by caravan. Caravan at The Robin – brilliant – welcome to the Black Country! Should be a good show – the house PA is excellent (in the right hands!). Only thing wrong with the venue is the beer (damnable Marston’s aka Banks’s)so I recommend the Old White Rose for a pre-gig pint (5 mins walk away. BTW: both the White Rose and the venue have accommodation available if anyone is travelling from a distance. What sort of venue is this? Just seen them at Culross and goung to Rock in Oppsition in Sept. The Robin is a long-estabished and well-run venue about 3 miles or so from Wolverhampton Cit Centre. Parking is adjacent to the venue and there is hardly ever any problem in finding a space. Venue capacity is about 700 c/w bars and a range of snack food i.e. burger-type offerings. (I am vegetarian so I cannot comment on quality). As I said a very good sound system; the stage lighting is good also. Raised stage and a slightly inclined floor gives good viewing from the audience standpoint. Very peaceful crowd – there for the music rather than chatting amongst themselves whill the band trys to make itself heard. Overall I rate the place pretty highly (and not just because it is fairly near to me)- pity about the Marston’s beer though (if you must try it – drink the Mild!). Just let me know if you need anything more specific. Allow me to add support to go to the Robin2. It is an excellent venue and Caravan have played there before. I recall going there about 10+ years ago to see the band play (my first Caravan concert for about 25 years) and loving the venue as well as the band. I wrote an article for the fanzine at that time. I was a little unkind about Bilston as the time – it has some good pubs and I like Marston’s beer! I am seriously thinking of organizing a trip from Italy to attend the date of January 8 at the Queen Elizabeth Hall … With Caravan’s music always in the heart!. We’re playing in Toulouse France on September 21st. at a festival ‘Rock In Opposition’. By happy coincidence this is the 40th. anniversary of my very first show with Caravan at The Gaskessel in Bern Switzerland on September 21st. 1972… I’ll be celebrating! Fantastic! See you guys at QE2 hall London. Are you going to be doing a Canterbury date – love to come to that? I have been listening to Caravan for 27 years and have never been without them. Can’t believe I have never seen them live! That is about to change as my partner has got tickets for Bath. Still rate Golf Girl as the best love song in the known galaxy! If anyone like me is a Caravan follower but has never been to a concert I would recommend you go if at all possible. I saw my first Caravan concert in the Netherlands last month. They were wonderful brilliant even. You cannot fully appreciate the music until you see them playing live. I had no idea they are so good…and I have been a fan for about forty years. Enjoyed greatly In-the-LOG&P gig last year in Leamington. I bought For-GWGPIT-night in 1976 and think it’s also a great album so very much looking forward to seeing them play this live. I’ve seen Caravan many many times (including in a school in Norwich in approx 1990 – when Ralph set up this the bands web-page – great to see it developed – many thanks to those now doing the work). Thank you so much Caravan for the great music – please keep playing! 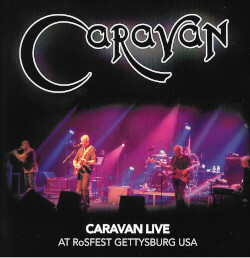 As a longtime Caravan fan It is great to hear that the band has not only continued playing together but are now touring. I attended the Quadrophenia show by The Who here in Ottawa Canada last week and would love to get a chance to see & hear Caravan live. Every summer we have a huge music festival here in the Canadian National Capital called The Ottawa Bluesfest and it has featured an amazing eclectic collection of bands from Carlos Santata to KISS and The Alan Parsons Project. If I am lucky maybe someday I will be watching Caravan at the bluesfest or on tour. Going to the Edinburgh gig with my partner. Cant wait. Band are still playing wonderfully. Pye featured in today’s Scotland on Sunday motoring section “My first car”. Also nice little mention of next Sunday’s Edinburgh gig. A great gig at the Robin in Bilston from the band last night in front of a large and enthusiastic crowd. The very nice support act from ‘Jesse of Manchester’ was much appreciated – playing some solo blues. 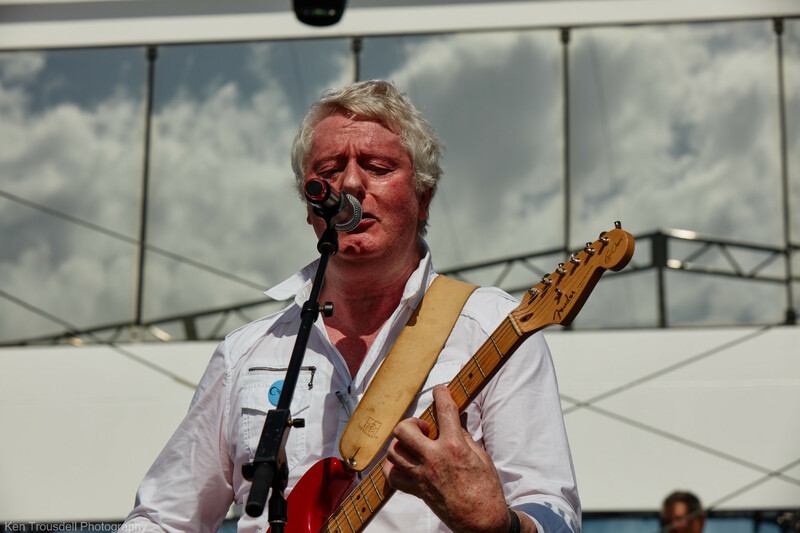 Allow me to mention Mark as the newest member of the band – his combined skill and enthusiasm is great to see and hear. Oh – and all the old guys were excellent too! If you like Caravan you must get to see them (again) on this tour. OK firstly it was a great night really enjoyed A-Hunting and 9FU but with the band-flu doing the rounds some of the vocals were a bit rough. My main problem was the mix – viola and keyboards were sometimes lost – very frustrating. Anyway here’s what the Scotsman thought. lurgy and he was thus far the only one to emerge unscathed. He couldn’t resist also cheekily pointing out that this had caused an unmistakable croak to appear in singer Pye Hastings’s vocal which brought chortles of acknowledgement from the rest of the band and the audience. But no matter no-one was heading angrily towards the ticket office because the singer was having an off-day – Canterbury folk contingent Caravan were among friends here. At a few points during the evening they should have been thankful that this was the case because certain elements of a sound which was at its peak in the late 1960s and early-Seventies – this tour celebrates the 40th anniversary of their enduring if hideously-titled For Girls Who Grow Plump in the Night album – have dated notably. By turns echoing Syd Barrett’s sense of theme park olde English whimsy Yes’ prog rock overworking of a song and Fairport Convention’s masterful fusion of folk and rock their style reached its nadir in the lyrics of Golf Girl mundanely setting a love affair with a tea-selling young woman on the fairways of a Canterbury golf course and the grumpy spite of new song Fingers in the Till. Yet for all that there were many unexpected delights to be found: the title track of their old classic album In the Land of Grey and Pink the tender subtlety of the violin and organ-led latterday track Nightmare and the more muscular less interminable segments of epic main set closer Nine Feet Underground. Honourable mention must also go to Golf Girl for Richardson’s rattling spoon solo at the end – the kind of thing much like the rest of the show you just don’t hear these days. Really enjoyed last nights Edinburgh gig. 3 of the band should have probably been in their beds trying to recover from the lurgi but as true professionals carried on and delivered a really tight set. Admittedly the band struggled at times with some of the vocal work but I think instrumentally this was one of their tightest sets yet. A very good review in today’s Edinburgh Evening News. And Rob Adams the journalist has a very balanced piece on his website. Thanks for a great evening. Salford’s gig was BRILLIANT. I can’t tell you how chuffed I was to see you guys doing a gig up north! Took us a wee while to get there and it was something of a trek back home but it was well worth it for the awesome set the band delivered. I loved the whole thing and my fiancé who I’ve only very recently introduced to Caravan’s music had a great time as well. Oh and one last thing – Geoffrey how on earth do you make the spoons sound so cool? !